The process of applying an appropriate granular or liquid deicing product prior to the onset of a snow or ice event to make a reasonable effort to prevent the bonding of snow/ice to pavement or concrete surfaces. The Accredited Snow Contractors Association (ASCA) is a national trade association with the purpose of advancing the professional snow and ice management industry and promoting its role in performing high-risk services to society. The American National Standards Institute (ANSI) is a private non- profit organization that oversees the development of voluntary consensus standards for products, services, processes, systems, and personnel in the United States. A group of individuals whose only responsibility during a snow event is to provide agreed upon services to a particular property, an area on a property, or series of properties. Reactive treatment of snow, ice or frost covered hard surfaces with ice-control products to melt existing snow, ice or frost. For purposes of this standard, the main manager is the principle contact(s) at a property for a snow and ice management company. The process of taking snow from its natural location and moving it to another location using an implement. That act of preparing and/or controlling a snow or ice situation through pretreating or anti icing in advance of a snow or ice event. For purposes of this standard, residential properties are multifamily, apartment complexes, townhome developments, condominium developments, and home owners associations where they contract as a group for snow and ice management services. 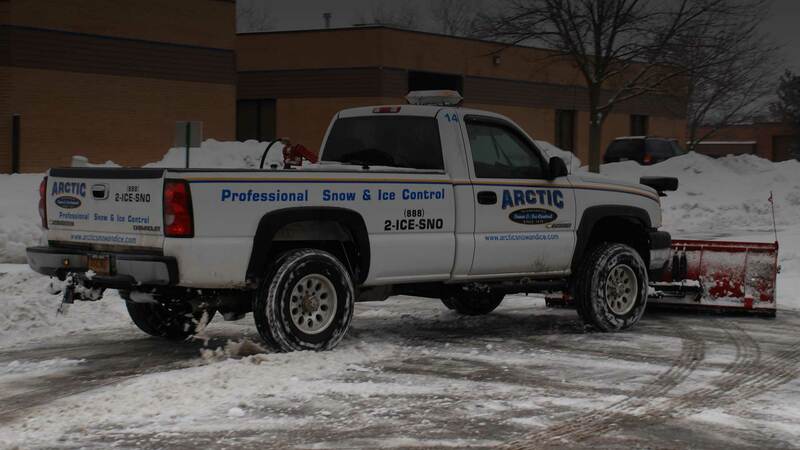 A snow and ice management company that they or their employees perform services on a site they are contracted to maintain. One who takes a portion of a contract from the principle contractor or from another service provider. Verbal form used to indicate requirements strictly to be followed in order to conform to the standard and from which no deviation is permitted, unless accepted by all involved parties. Verbal form used to indicate that among several possibilities one is recommended as particularly suitable, without mentioning or excluding others, or that a certain course of action is preferred but not necessarily required. Safety signs placed on properties by professional snow and ice management companies that warn the general public of potential slippery conditions (i.e., signs often read �Caution: Common areas, parking lots, and sidewalks may be icy or slippery� or similar language). A weather event whereby snow falls to the ground whether or not accumulation results. An �event� is generally defined in terms of �time.� A break in the snowfall of a determinate amount of time will end one event and start another. That time period is generally defined by the specific contract terms. Acceptable times for this �break in the action� are generally 4 hours without any snowfall; however, some contracts will lengthen or shorten that timeframe. Process of relocating and/or removing snow from a property. This is generally accomplished by hauling the snow off of a property, by melting snow and discharging it into the storm sewer system or relocating snow piles to suitable areas located within the property being serviced. A piece of bamboo, fiberglass, plastic, wood, or other appropriate material pointed at one end for driving into the ground as a marker to protect and outline a property. These stakes should stand visible once snow has covered the ground under normal conditions. To mark a location with a stake by driving into the ground. Prior to the start of the winter season, professional snow and ice management companies �stake� a property by inserting them into the ground. These �stakes� provide those plowing snow to identify where pavement ends, speed bumps and other permanent obstacles which are hazardous to plows once snow has covered the ground. Having the qualities that are right, needed, or appropriate and approved by the property owner or manager for snow pile placement. The depth of snow or ice that initiates service on a given property. Service should begin within a reasonable time frame, once the snow or ice accumulation reaches the agreed upon depth. Measurement location should be agreed upon in the contract, as should the person or service responsible for measurement. A common term that is used in the snow and ice management industry that is not a realistic or reasonable property condition (also referred to as a �Slip-Free Environment� or �Slip-Free Condition�). It is impossible to achieve bare and wet pavement at all times under all conditions. True �zero tolerance� is an unrealistic expectation, as is a snow- free environment. Those tasked with snow and ice management on any given site with a zero-tolerance parameter should strive to achieve �bare and wet� conditions on pavement and sidewalk surfaces. There is no set �trigger depth� for starting services when zero tolerance is specified and it is normally expected that service providers will start servicing with a pretreatment, and continue service as the snowfall begins, and throughout the snow event.